Nigerians may recall that in 2016, President Buhari accused UN and aid agencies of ‘whipping up a non-existent fear of mass starvation’ to draw donor support. The President had bluntly refused to accept the verdict of the United Nations and categorically said that they were creating a hype and exaggerating crisis in North Eastern Nigeria in order to encourage more donations. 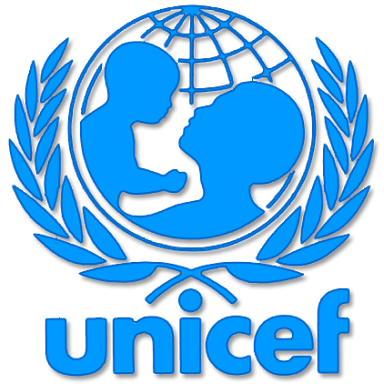 But in a similar fashion, probably owing to the absence of the President, the UNICEF appears to have surreptitiously declared Nigeria, along with South Sudan, Somalia and Yemen as countries at risk of famine as declared by the United Nations Secretary General. According to a statement made by the UN Secretary General yesterday (22/02/2017) in New York, “across North-East Nigeria, some 5.1 million people face serious food shortages. Women and girls are disproportionately affected, and nearly half a million children are suffering severe acute malnutrition. Even if they survive, this may affect their health and development throughout their lives”. The UN Secretary General, in the same addressed declared famine in three other countries namely: South Sudan, Somalia and Yemen. Famine has been declared in South Sudan; the first declaration of famine in the world in 6 years; another first for Africa from the down side. The last time famine was declared anywhere in the world was 2011 in Southern Sudan, before that in 2008 again in Southern Sudan, in 2000 in Gobe region of Ethiopia, in North Korea in 1996, in Somalia 1991-1992 and Ethiopia 1984 – 1985. With the declaration and formal announcement of famine in parts of South Sudan’s Unity State, it is assumed that people have already started dying of hunger in the state. The Unity State in South Sudan which borders Sudan has been on the receiving end of fierce fighting between Sudan and South Sudan. Thousands of its citizens have fled to Uganda and Ethiopia. In addition to Somalia’s long drawn war, insurgency by extremist groups have led to large-scale displacement of people internally and to neighbouring countries. South Sudan and Somalia have recently both been affected by months-long drought across east Africa. Yemen’s multi-party civil conflict has drawn in regional powers, leading to widespread destruction, economic damage and loss of life. The truth is that a declaration of famine signals a lack of national leadership. The current drought in South Sudan has a regional dimension, so Ethiopia, Kenya and Somalia are also affected but while there is a sense of urgency and frenzy to declare famine in Somalia, this will not happen in Ethiopia and Kenya because of strong government leadership response; both at national and international levels. Ethiopia continues to respond to drought through its development achievements including its national institutions. The country very recently kick-started the response to drought with 47 million USD with plans to contribute another 200 million USD. In Kenya, the government has declared the drought impact as a national disaster but is leading the response through the provision of a compensation scheme for those who have lost livestock. The Kenya Red Cross is facilitating cash-based intervention as well as distributing food vouchers and aid and helping livestock owners sell off weakening animals before they die. The Nigerian Government has recently announced that it has facilitated the settlement of at least 310,000 IDPs back in their homes in Borno state, the epicentre of the North East crisis, so the issue of possible famine appears rather confusing. As indicated earlier, for famine to be declared in Nigeria, at least 20% of the population do not have enough food for the average person to lead a healthy life (2,100 kilocalories a day). The population of Nigeria’s North East is 24.6 million and 1.9 million have been identified as facing serious food insecurity. Famine is also declared when there is acute malnutrition in more than 30 percent of children and there are 450.000 severe malnourished children in the North East according to the UNICEF. This is the time for the Acting President to rise to the occasion and show leadership in keeping with President Buhari’s earlier stance and insist that Nigeria’s case has been clearly exaggerated in furtherance of foisting on the country a humanitarian crisis only for the purposes of encouraging more donor support and funding. To be clear, for famine to be declared, two deaths per 10,000 people every day must be recorded, or four child deaths per 10,000 children every day. So far, neither Borno State nor the Federal Government has confirmed this situation and if anything has challenged assessment of the humanitarian situation in the North East. So the question is: why is the United Nations in a hurry to declare famine in Nigeria when neither the State nor Federal Government has indicated that they are having such a crisis? And who in Nigeria’s government is encouraging the United Nations to take such an action? The last time famine was declared in Nigeria was during the Nigeria civil war in 1967–1970. In 2005–2006 Niger and West Africa was affected by famine at least 3 million people in Niger and 10 million people throughout west Africa and Nigeria was not mentioned. West Africa was also affected by famine in 2012 during the Sahel drought. Countries affected by famine included Senegal, Gambia, Niger, Mauritania, Mali and Burkina Faso. Nigeria was not affected. There are implications when a country is declared a famine country and it would appear that the proponents of this agenda are either not aware or simply do not care. A declaration of famine in Nigeria will remain in its global record; as a point of reference for future declarations of famine in Africa and any part of the world. According to WFP `Famine is made worse by governments’ failure to deal with the situation.’ So what will be the cost for Nigeria? First, the declaration signals a lack of national leadership in the crisis in the North East. But as mentioned earlier, the Nigerian government has recently resettled 319,000 internally displaced persons back in their communities in the north east. The Nigerian government is also publicly disputing the assessment of the crisis in the North East by international humanitarian partners with the accusation that the situation is being exaggerated for fund raising purposes. So allowing UNICEF to continue to declare Nigeria a famine country is to concede to a possible designation of the crisis as the worst it can be? It is also not in our immediate and long-term interest to be categorised alongside Somalia, South Sudan and Yemen. If Nigeria must be mentioned, let it be for a good cause. Nigeria cannot join these countries, cap-in-hand begging the world for aid for non-existent problems. A word is enough for the wise.